Exposure-based therapies reflect a variety of behavioral approaches that are all based on exposing the phobic individuals to the stimuli that frighten them. From a behavioral perspective, specific phobias are maintained because of avoidance of the phobic stimuli so that the individual does not have the opportunity to learn that they can tolerate the fear, that the fear will come down on its own without avoiding or escaping, and that their feared outcomes often do not come true or are not as terrible as they imagine. Avoidance can occur either by not entering a situation at all or by entering the situation but not experiencing it fully (e.g., because of consuming alcohol before taking a flight for a person with flying phobia). Exposure therapies are thus designed to encourage the individual to enter feared situations (either in reality or through imaginal exercises) and to try to remain in those situations. The selection of situations to try typically follows an individually-tailored fear hierarchy that starts with situations that are only mildly anxiety-provoking and builds up to the most feared encounters, though in some forms of exposure therapy (e.g., implosion therapy), the individual starts out being exposed to a very anxiety-provoking stimulus rather than building up to that point more gradually. There are a number of variations of exposure therapy that work effectively in the treatment of specific phobias, so to some extent the specific approach selected may depend on the nature of the phobia and therapist and client preferences. Notwithstanding, the research evidence does provide more substantial support for some exposure therapies (i.e., in vivo exposure) over others (e.g., systematic desensitization). In vivo exposure involves actually confronting the feared stimuli, usually in a graduated fashion (e.g., in spider phobia, a person might first look at a picture of a spider and eventually work up to touching a large tarantula; in flying phobia, a person might first read a story about a plane crash and then work up to taking an actual flight). The treatment usually last a number of hours, and can be administered in one very long session (e.g., one 3-hour session for spider phobia) or across multiple sessions (e.g., three to eight 1-1.5-hour-long sessions). A range of specific phobias respond well to in vivo treatment, although treatment acceptance and dropout can be a problem. Further, treatment gains tend to be well maintained up to a year following the end of treatment, particularly for animal phobias (though follow-up data is less impressive for blood-injection-injury phobia). When the therapist is actively modeling each step of the exposure and teaching the phobic individual how to interact with the feared stimulus, this type of exposure therapy can also be called Participant modeling or Guided mastery. Applied muscle tension is a special variant of in vivo exposure for the treatment of blood-injection-injury phobia. This treatment uses standard exposure techniques but also incorporates muscle tension exercises to respond to decreases in blood pressure that can lead to fainting. Virtual reality exposure uses a computer program to generate the phobic situation (e.g., being on a plane that is taking off, encountering a large tarantula, looking over a tall balcony ledge), and integrates real-time computer graphics with various body tracking devices so that the individual can interact in the environment. This therapy appears to be useful for phobias that may be difficult to treat in vivo; namely, flying phobias (where repeated plane flights are impractical) and height phobias, but more studies are needed to demonstrate its efficacy for a broader range of phobia subtypes. Systematic desensitization involves exposing phobic individuals to fear-evoking images and thoughts (i.e., imaginal exposure) or to actual phobic stimuli, while pairing the exposure with relaxation (or another response that is incompatible with fear) to decrease the normal fear response. Treatment using systematic desensitization tends to take longer than in vivo exposure, and appears to be more effective at changing subjective anxiety than at reducing avoidance. Thus, it is not recommended as the first line of treatment if a client is willing to try in vivo or an alternate form of exposure therapy. Note that many exposure therapies also include a cognitive component that involves cognitive restructuring to challenge distorted or irrational thoughts related to the phobic object or response (e.g., I am going to fall, The dog is going to attack me, I can’t tolerate this fear, etc.). Further, there is some evidence that either adding cognitive therapy to in vivo exposure or administering cognitive therapy alone can be helpful for claustrophobia, and it may also be useful for dental phobia. Evidence regarding the utility of cognitive therapy for flying phobia is mixed, and it is not clear that adding cognitive therapy to exposure therapy for other phobia types improves outcomes. Gotestam, K. G., & Hokstad, A. (2002). One session treatment of spider phobia in a group setting with rotating active exposure. European Journal of Psychiatry, 16, 129?134. Gilroy, L., Kirkby, K. C., Daniels, B. A., Menzies, R. G., & Montgomery, I. M. (2000). Controlled comparison of computer-aided vicarious exposure versus live exposure in the treatment of spider phobia. Behavior Therapy, 31, 733?744. Öst, L. G., Ferebee, I., & Furmark, T. (1997). One-session group therapy of spider phobia: direct versus indirect treatments. Behaviour Research and Therapy, 35, 721?732. Hellstrom, K., & Öst, L. (1995). One-session therapist directed exposure versus two forms of manual directed self-exposure in the treatment of spider phobia. Behaviour Research and Therapy, 33, 959-965. Öst, L. G., Salkovskis, P. M., & Hellstrom, K. (1991). One-session therapist directed exposure vs. self-exposure in the treatment of spider phobia. Behavior Therapy, 22, 407-422. Bandura, A., Blahard, E. B., & Ritter, B. (1969). Relative efficacy of desensitization and modeling approaches for inducing behavioral, affective, and attitudinal changes. Journal of Personality and Social Psychology, 13, 173-199. Walder, C., McCracken, J., Herbert, M., James, P., & Brewitt, N. (1987). Psychological intervention in civilian flying phobia; evaluation and a three year follow-up. British Journal of Psychiatry, 151, 494-498. Egan, S. (1981). Reduction of anxiety in aquaphobics. Canadian Journal of Applied Sport Sciences-Journal Canadien des Sciences Appliquees au Sport, 6, 68-71. Williams, S. L., Turner, S. M., & Peer, D. F. (1985). Guided mastery and performance desensitization treatments for severe acrophobia. Journal of Consulting and Clinical Psychology, 53, 237-247. Williams, S. L., Dooseman, G., & Kleinfield, E. (1984). Comparative effectiveness of guided mastery and exposure treatments for intractable phobias. Journal of Consulting and Clinical Psychology, 52, 505-518. Öst, L. G., Alm, T., Brandberg, M., & Breitholtz, E. (2001). One vs five sessions of exposure and five sessions of cognitive therapy in the treatment of claustrophobia. Behaviour Research and Therapy, 39(2), 167-183. Booth, R., & Rachman, S. (1992). The reduction of claustrophobia-I. Behaviour Research and Therapy, 30, 207-221. Muhlberger, A., Wiedemann, G. C., & Pauli, P. (2003). Efficacy of a one-session virtual reality exposure treatment for fear of flying. Psychotherapy Research, 13, 323-336. Wiederhold, B. K., Jang, D. P., Gevirtz, R. G., Kim, S. I., Kim, I. Y., & Wiederhold, M. D. (2002). The treatment of fear of flying: A controlled study of imaginal and virtual reality graded exposure therapy. IEEE Transactions on Information Technology in Biomedicine, 6, 218-223. Rothbaum, B. O., Hodges, L., Smith, S., Lee, J. H., & Price, L. (2000). A controlled study of virtual reality exposure therapy for the fear of flying. Journal of Consulting and Clinical Psychology, 68, 1020-1026. Krijn, M., Emmelkamp, P. M., Biemond, R., deWilde de Ligny, C., Schuemie, M. J., & van der Mast, C. A. (2004). Treatment of acrophobia in virtual reality: The role of immersion and presence. Behaviour Research and Therapy, 42, 229-239. Emmelkamp, P., Krijn, M., Hulsbosch, A. M., de Vries, S., Schuemie,M. J., & van der Mast, C. A. (2002). Virtual reality treatment versus exposure in vivo: a comparative evaluation in acrophobia. Behaviour Research and Therapy, 40, 509-516. Garcia-Palacios, A., Hoffman, H., Carlin, A., Furness, III, T. A., & Botella, C. (2002). Virtual reality in the treatment of spider phobia: a controlled study. Behaviour Research and Therapy, 40, 983-993. Öst, L. G., Fellenius, J., & Sterner, U. (1991). Applied tension, exposure in vivo, and tension-only in the treatment of blood phobia. Behaviour Research and Therapy, 29, 561-574. Öst, L. G., Sterner, U., & Fellenius, J. (1989). Applied tension, applied relaxation, and the combination in the treatment of blood phobia. Behaviour Research and Therapy, 27, 109-121. Barrett, C. L. (1969). Systematic desensitization versus implosive therapy. Journal of Abnormal Psychology, 74, 587-592. Lazarus, A. A. (1961). Group therapy of phobic disorders by systematic desensitization. Journal of Abnormal and Social Psychology, 63, 504-510. Öst, L. G., Alm, T., Brandberg, M., & Breitholtz, E. (2001). One vs five sessions of exposure and five sessions of cognitive therapy in the treatment of claustrophobia. Behaviour Research and Therapy, 39, 167-183. Craske, M. G., Mohlman, J., Yi, J., Glover, D., & Valeri, S. (1995). Treatment of claustrophobias and snake/spider phobias: Fear of arousal and fear of context. Behaviour Research and Therapy, 33, 197-203. Willumsen, T., Vassend, O., & Hoffart, A. (2001). A comparison of cognitive therapy, applied relaxation, and nitrous oxide sedation in the treatment of dental fear. Acta Odontologica Scandinavica, 59, 290-296.
de Jongh, A., Muris, P., ter Horst, G., van Zuuren, F., Schoenmakers, N., & Makkes, P. (1995). One-session cognitive treatment of dental phobia: Preparing dental phobics for treatment by restructuring negative cognitions. Behaviour Research and Therapy, 33, 947-954. Capafons, J. I., Sosa, C. D., & Vina, C. M. (1999). A reattributional training program as a therapeutic strategy for fear of flying. Journal of Behavior Therapy and Experimental Psychiatry, 30, 259-272. Choy, Y., Fyer, A. J., & Lipsitz, J. D. (2007). Treatment of specific phobia in adults. 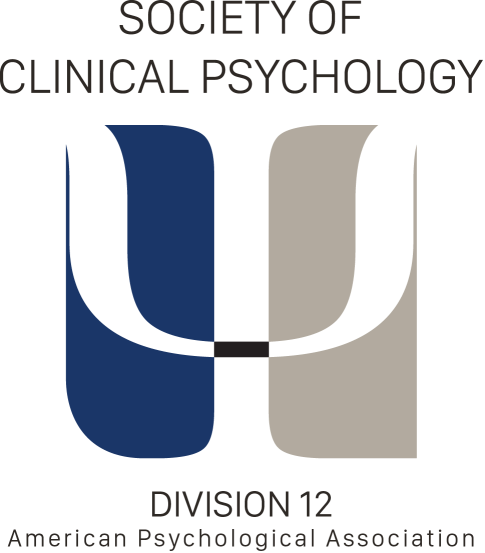 Clinical Psychology Review, 27, 266-286. Antony, M. M., & Grös, D. F. (2006). The assessment and treatment of specific phobias: A review. Current Psychiatry Reports, 8, 298-303. Pull, C. B. (2005). Current status of virtual reality exposure therapy in anxiety disorders. Current Opinion in Psychiatry, 18, 7-14. Advances in therapies for specific phobias are promising, including the use of computer-assisted therapy, and the use of interoceptive exposure therapy (exposure to anxiety-relevant bodily sensations, such as dizziness and shortness of breath) for claustrophobia. Key references for each of these treatment approaches are noted below, though there is not yet sufficient research evidence to list these approaches as well-established. Bornas, X., Tortella-Feliu, M., Llabrés, J. & Fullana, M.A. (2001). Computer-Assisted Exposure Treatment for Flight Phobia: A Controlled Study. Psychotherapy Research, 11, 259-273. McLean, P.D., & Woody, S.R. (2001). Specific fears and phobias, pp. 48-83. In P.D. McLean and S.R. Woody, Anxiety disorders in adults: An evidence-based approach to psychological treatment. New York: Oxford University Press. Craske, M., Antony, M., & Barlow, D. (1997). Mastery of your specific phobia: Therapist guide. Academic Press. Williams, S. L. (1990). Guided mastery treatment of agoraphobia: Beyond stimulus exposure. Progress in Behavior Modification, 26, 89-121. Marks, I. (1978). Living with fear. New York: McGraw-Hill. Öst, L. G., & Sterner, U. (1987). Applied tension. A specific behavioral method for treatment of blood phobia. Behaviour Research and Therapy, 25, 25-29. Wells, A. (1997). Cognitive therapy of anxiety disorders: A practice manual and conceptual guide. Chichester, England: Wiley. Beck, A. T., & Emery, G., with Greenberg, R. L. (1985). Anxiety disorders and phobias: A cognitive perspective. New York: Basic Books.